december 2013 | 974 blz. On the 9th of January 2014, Marc Bossuyt, President of the Belgian Constitutional Court, will be awarded emeritus status. 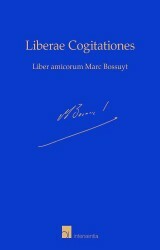 As a tribute for his remarkably prolific career, this Liber amicorum, to which more than fifty colleagues and friends have contributed, aims to express the appreciation inspired by his magnificent fine career.